Studio Series 3 Key features the digitally mastered accompaniment track from the original multi-track master recording, providing you with professional accompaniment. 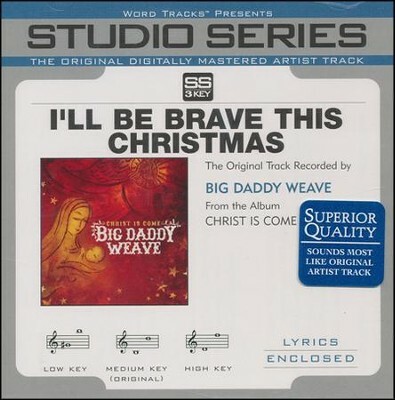 Includes the demonstration as recorded by Big Daddy Weave and performance tracks in the original key (medium) with and without backing vocals, plus high and low keys without backing vocals. Lyrics enclosed. I'm the author/artist and I want to review I'll Be Brave This Christmas Accompaniment CD.